Border poetics is a set of strategies for analyzing crossings–failed and successful, individual and collective–of territorial or symbolic borders. This collection of essays on border poetics focuses on the interplay between such crossings and the creation and continual renegotiation of such borders through acts of representation. Setting out to identify central processes of border formation and border permeability in contemporary societies and in the histories they carry, this book explores the possibilities and limitations of such strategies through theoretical essays and through close readings of actions and experiences of bordering. These essays deal with significant political, national, cultural or aesthetic frontiers, in literature, film and art. Together they argue for the intimate connection between borders, mobility, memory and narrative, and establish a specific vocabulary of study and reflection to discuss narratives of bordering. 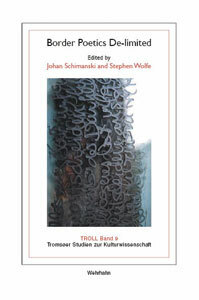 Raising questions of identity, mediality, ethics and gender as central to border experience, Border Poetics De-limited addresses readers both in border studies in the social sciences and in more aesthetically-orientated border theory – and asks that they renegotiate their own disciplinary borders.